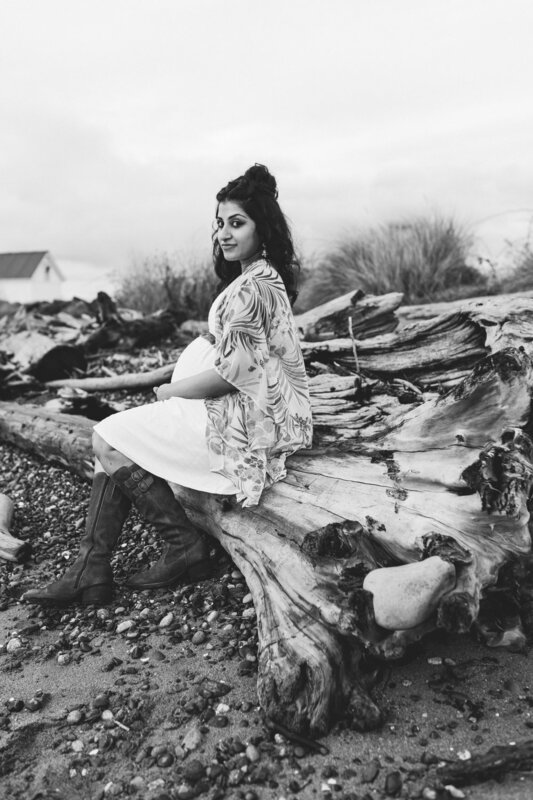 Due to a few unforeseen events, this maternity session ended up happening after the sun set on Discovery Park in Seattle. 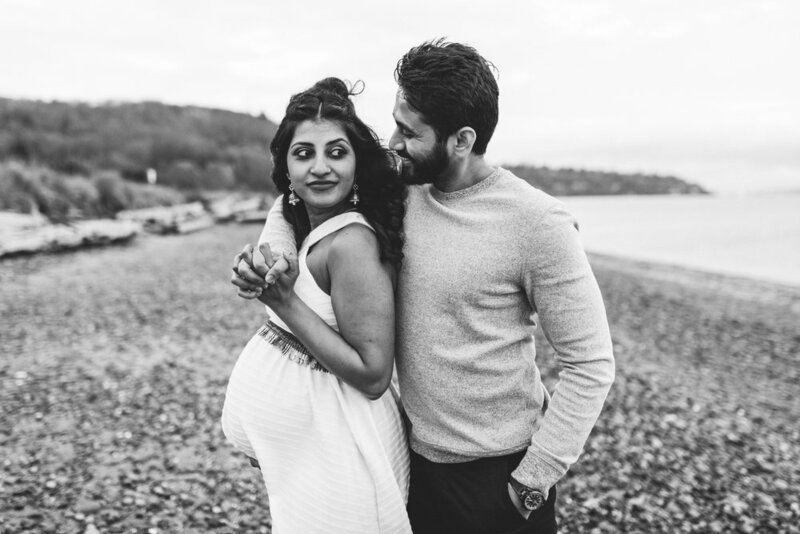 Aparna and Sunith are so excited to be parents and it couldn’t be more obvious. 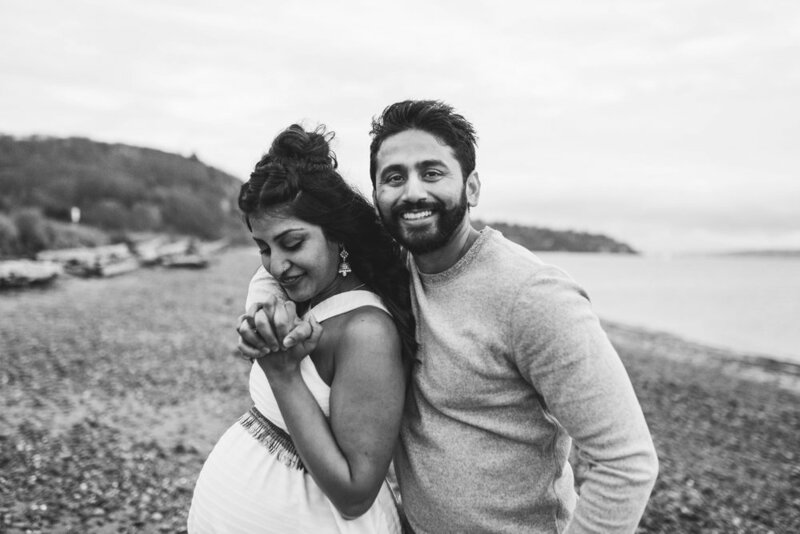 They haven’t lived in the Seattle area long (they relocated from India to the Carolinas to New York and now here), so I was worried about the support they would have after the baby arrives- but Sunith’s parents are already here and they will have both sets of parents staying with them for a couple of months. My mom stayed with me after Ru was born and I am not sure what David and I would have eaten without her here taking care of everything. So, I think these two are so lucky that there will be so many adoring people around to help with the baby. After all, this isolated way we live now is a recent phenomenon. My husband even grew up with his grandparents living with him. I think that multiple generations and community are absolutely necessary with the arrival of children. Extra hands, extra wisdom, extra love. 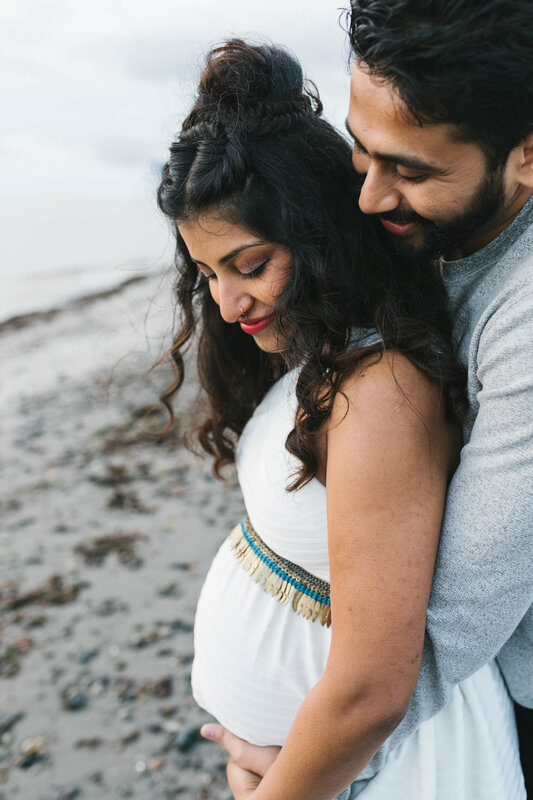 This was my second time photographing these lovelies, and it so fun to see their excitement building as we get closer to Aparna’s due date. They love all of the beautiful parks that Seattle has to offer, so we met at Discovery Park for golden hour…kind of. A few bumps later and the sun had basically set, so this wintery dusk session has a little added drama and I love it. I am waiting eagerly for their newborn session!